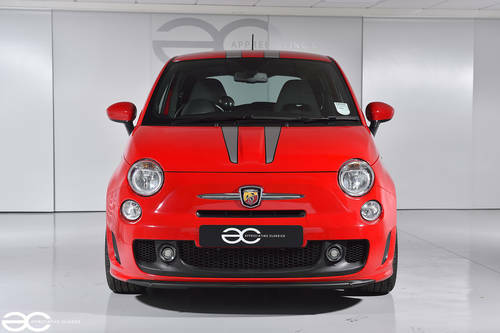 Here we are delighted to offer, an extremely rare & sought after, Fiat 500 Abarth Ferrari Dealer Edition. 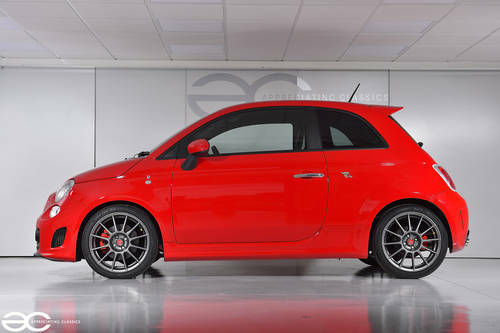 This is not to be confused with the later, much more common, Fiat 500 Abarth Ferrari Tributo which came along later. 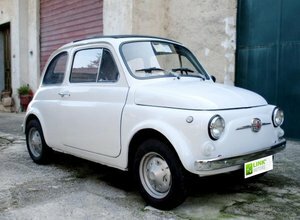 Ferrari ordered 200 Fiat 500’s to be used as courtesy cars at Ferrari Main dealer outlets, with the majority being the basic Essesse model, and only a handful of the 200 units being Abarth variants. Demand from Ferrari customers was so high that the cars were instead sold to special customers rather than being used as Courtesy cars. All dealer edition’s came with the much desired manual gearbox – the later tributo model had neither a number plaque or a manual gearbox. 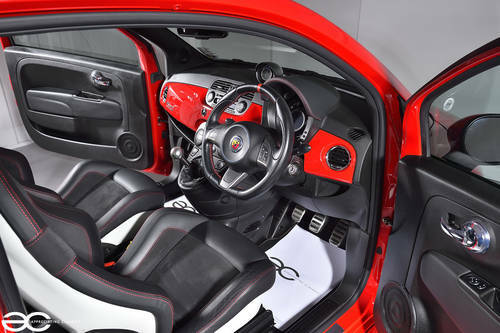 As well as the manual gearbox, the Dealer Edition had many other exclusive touches, such as the stunning Sabelt bucket seats, Monza sports exhaust which sounds fantastic, Rosso Corsa paintwork with Grey Scuderia style stripes, stripe’d steering wheel plus Dealer Edition badging and of course the number plaque. With a genuine 18,708 miles, and full Fiat Dealer service history, and a major service having been carried out in June 2017, this is a fantastic long term investment prospect which wants for nothing, and would look at home in any serious car collection. Registered new 11.05.2009, this car has been part of a collection with one of our customers, since July 2012. 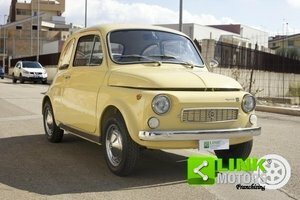 Service history has been at Fiat main dealers, with invoices also within the history file. The last service being a full major service, including cambelt change. 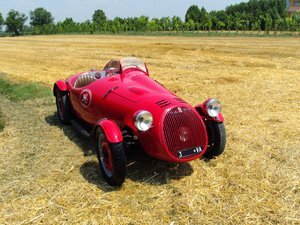 Also a brand new set of four tyres were fitted at the same time, which are the correct, as originally fitted, Pirelli Pzero Nero tyres. You can rest assured this example wants for nothing and is ready to go. Finished in the Rosso Corsa red, with the grey stripe’s – a strong link to the Scuderia Ferrari, this car looks fantastic. Even without any obvious Ferrari badging on the bodywork, it is clear that this is a special car, and it does attract positive attention when on the open road. As you would expect, the body work is in good condition, with no signs of any corrosion at all, and no ‘parking dent’s’ to the bodywork. The stripes are original and have not been replaced, all appear to be undamaged. All lights, windows and badges present extremely well, demonstrating that the car has been very well cared for, having been part of a collection for most of its life. 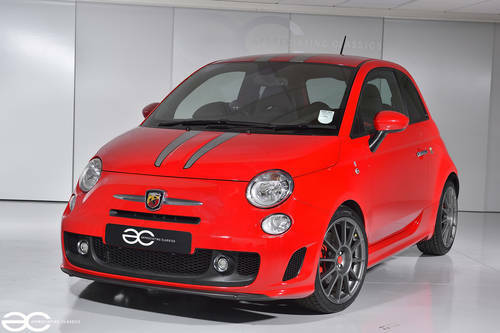 Overall a stunning little car, which makes it clear, this is no ordinary Fiat 500 Abarth. 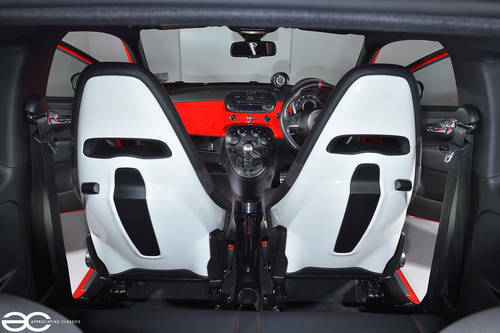 Everything about the interior tells you that this is no ordinary Abarth, the Sabelt bucket seats which are stunning, with gloss white backs which are of course, unmarked. The steering wheel has a centre stripe, and is in great condition. On the centre console you notice the number plaque, donating the relevant production number of the 200 produced worldwide, with this car proudly displaying its number – 197. 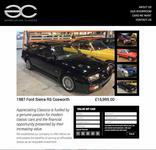 Of course, the interior is in fantastic condition, as you would expect with the very low mileage. Everything works just as you would expect, and it is a fantastic place to be. What a great little engine. 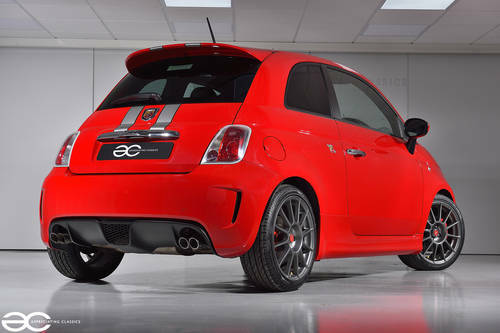 Based on the Abarth Essesse, this little pocket rocket does pack a punch, with 160bhp from its 1.4 litre turbo charged engine. Sure not huge figures, but mixed with the lightweight nature of the car, it makes for a fantastic fun car to drive, with great performance. Being the dealer Edition, it also gets a Monza exhaust system, which was designed to be in keeping with a Ferrari noise as much as possible, and it sounds simply fantastic! With main dealer history, and a full major service carried out in June 2017 (including the all important cambelt), this car needs for nothing and is ready to be enjoyed, or indeed, tucked away as part of a collection. Having just had a full major service at Fiat Desira of Norwich UK, you can rest assured that this car is in great mechanical order, and in need of nothing. Along with the full service, a new set of tyres were fitted, Pirelli pzero nero as per the original fitment tyres. Wheels are in great condition with no signs of any kerb damage. The car drives fantastic, with a great gear change, with the handling being very nice and braking feeling strong and even.